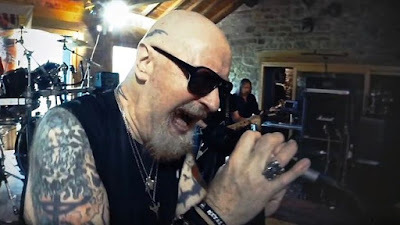 The clip sees the veteran UK metal band performing the song in a rehearsal space, where they are joined by guitarist Glenn Tipton, who retired from the road this spring due to health issues from a diagnosis of Parkinson’s Disease. Tipton – who hand-picked “Firepower” co-producer Andy Sneap to take over his guitar duties on the road – and Judas Priest have been using the song’s inspirational message as part of a fund-raising initiative for the newly-launched Glenn Tipton Parkinson's Foundation. “All proceeds we receive from you will go to this cause and I urge not just Judas Priest fans but everyone out there to help,” adds the guitarist. “If you can't get to the shows, you can also purchase t-shirts on line here. Currently on the road across Europe, Judas Priest will return to North America to team up with Deep Purple for a series of fall concert dates that will begin in Cincinnati, OH on August 21.